Saint Mary’s Church, the Church of Ireland parish church in Thurles, Co Tipperary, stands on the site of a church built by the Anglo-Normans in the 13th century. 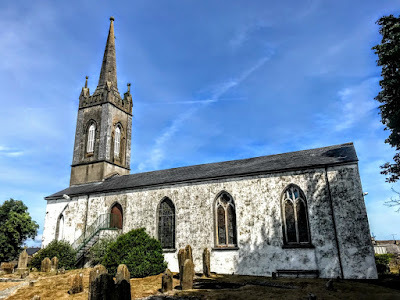 The present church, built in 1812, is the third church on this site, and I visited it yesterday [25 July 2018] after visiting the Cathedral of the Assumption in Thurles. While the cathedral stands on the site of a mediaeval Carmelite friary in Thurles, Saint Mary’s Church, at the end of Saint Mary’s Avenue, stands on site of the pre-Reformation parish church of Thurles. The original church was built by the Anglo-Normans in the 1292, perhaps on the site of an earlier church, to provide a parish church. 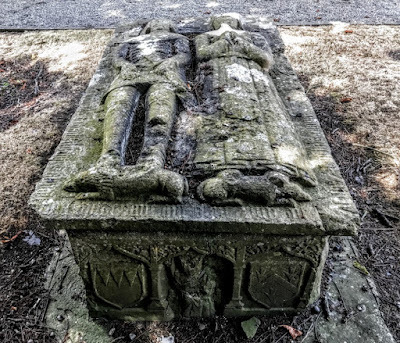 The churchyard has a 16th century tomb a knight and lady, with a dog at the feet of each figure, showing that they died at home. The twelve apostles are carved in stone around the base of the tomb, six on each side. The coats-of-arms indicate the man was a member of the Butler family and his wife was a member of the Walsh family, although I have been unable to positively identify them in the past day or two. Later the church was the burial place of Elizabeth Poyntz (1587-1673), Lady Matthew, wife of Thomas Butler (1596-1619), Viscount Thurles and son and heir of Walter Butler 11th Earl of Ormonde. He was drowned off the Skerries Rocks as he was travelling to England. Their children included James Butler (1610-1688), 1st Duke of Ormonde. 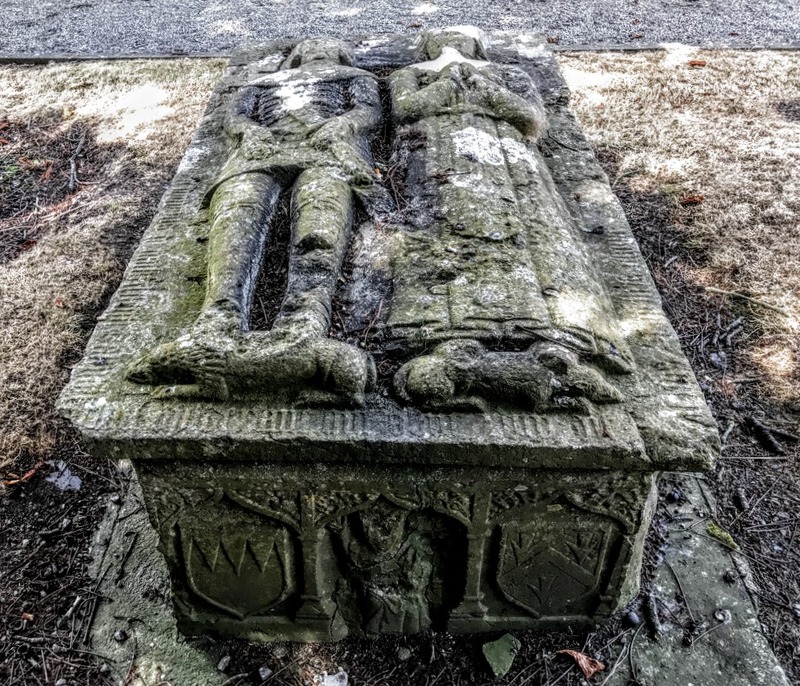 As a widow, she lived for a time in the Black Castle in Thurles, and then married As a widow, she married and George Mathew and they are ancestors of Nano Nagle, the founder of the Presentation Sisters, the Temperance campaigner, Father Theobald Mathew, and the Mathew family, Earls of Llandaff. The second church on the site was built in 1784-1789, and the third church was built in 1812 with loans from the Board of First Fruits. The memorials in the church include one depicting the Good Samaritan and designed by Joseph Robinson Kirk (1821-1894). This plaque commemorates Dr William Bradshaw (1830-1861), a Thurles-born surgeon who received the Victoria Cross for courage in combat. He died in Thurles in 1861 while he was on leave, still suffering from the consequences of the Crimean War and his time in India. Corporal John Cunningham from Thurles was also decorated with the VC. He was killed during World War I. 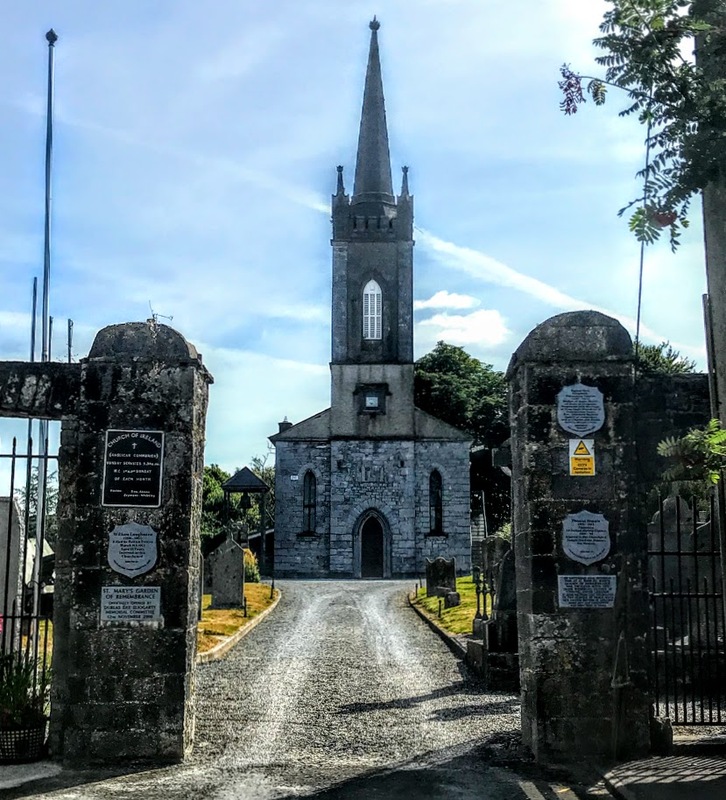 The Church of Ireland parish in Thurles donated one-third of the church building in 1995 to create a Famine Museum to commemorate the Great Famine of 1845-1851. The Thurles Famine and War Museum offered an insight into the Great Famine, with exhibits the included the largest collection of Famine memorabilia in Ireland, such as the only known minutes of a Great Famine food committee and a display of early 18th century period clothing. 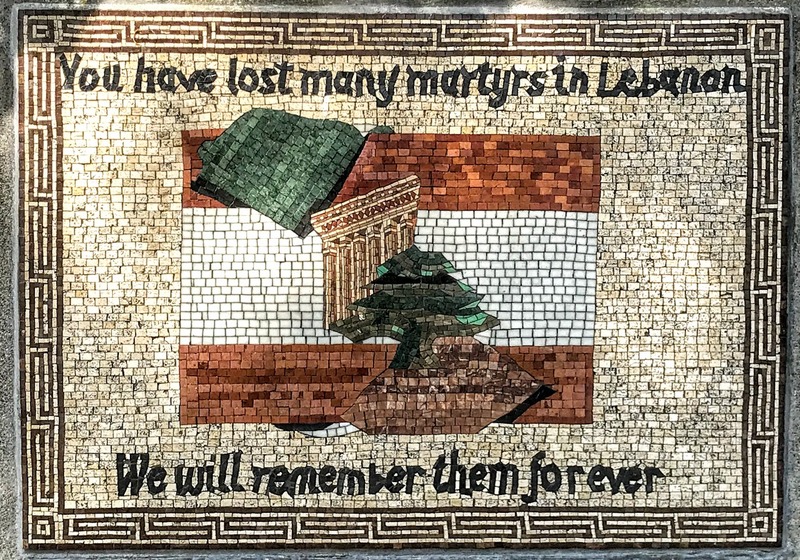 More recently, the museum was extended to include an exhibition of war memorabilia and hosted an impressive collection of war memorabilia, including the Armstrong Collection. The museum features a beautiful stone doorway inlaid into the original entrance. 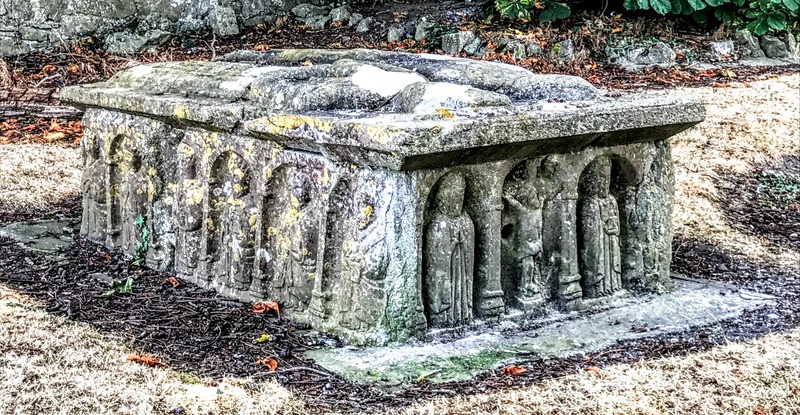 A rare Sile na Gig, embedded in a wall in Thurles, is being moved to the church for safe keeping. But the church was closed when I visited it this week, and I was told that the building is in a period of expansion. An additional floor has been built off the mid-church steeple landing, adding considerable floor space to the museum. There are plans to display the Burnell Private Exhibition, never before shown to the public. A Romanesque doorway was discovered off the mid church steeple landing and is being restored. 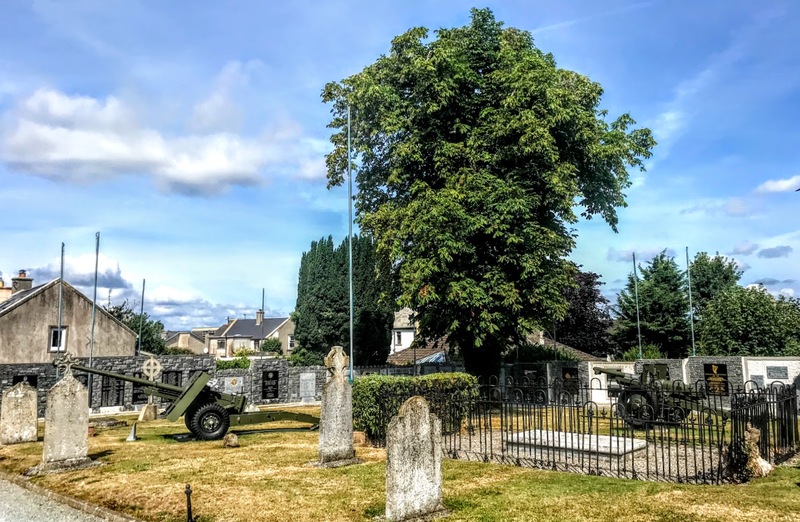 The Peace Garden in Saint Mary’s churchyard was opened in 2000 to honour the 72 men from Thurles who died in World War I (1914-1918). 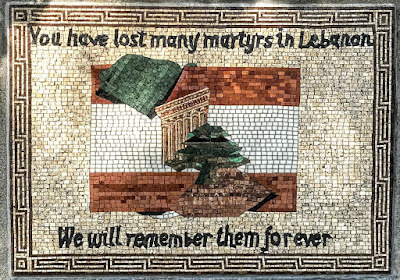 In 2001, a second memorial was unveiled to commemorate the nine Irish soldiers killed in the Niemba ambush in the Congo in November 1960. On Easter Day 2003, a third memorial was unveiled in memory of all the Thurles men and women who took part in the fight for Irish independence. Other memorials recall the All-Ireland hurler Tom Semple (1879-1943), who gives his name to Semple Stadium in Thurles, Irish soldiers killed in the service of peace with the UN, members of An Garda Siochana who lost their lives in the line of duty, the 110 Irish soldiers who died in the Korean War (1950-1953), Archbishop Michael Courtney (1945-2003), and the Apostolic Nuncio who was murdered in Burundi, the helicopter crew who died when their helicopter crashed on the sand dunes in Tramore, Co Waterford. Saint Mary’s Church is still used by the Church of Ireland parish today. 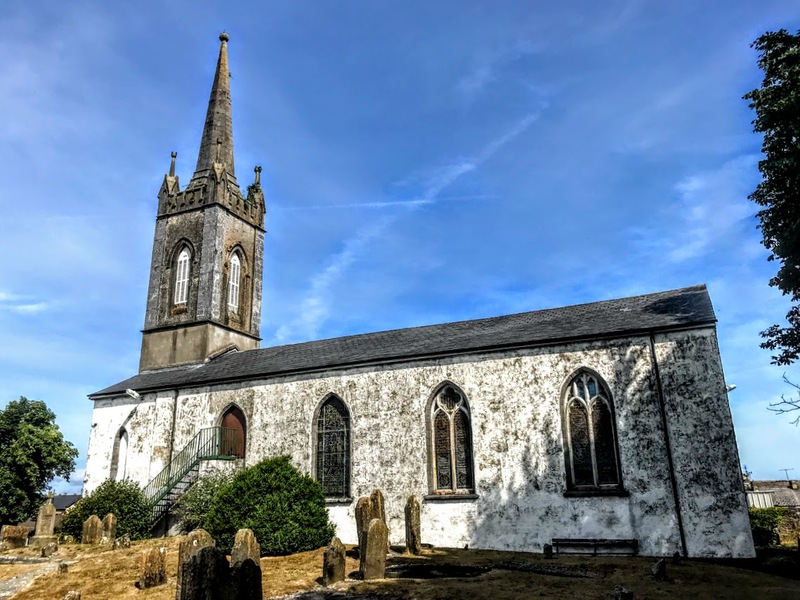 Thurles is part of the Templemore Group of Parishes in the Diocese of Cashel, the priest-in-charge is the Revd Alison Seymour-Whiteley, and Sunday services are held at 9.30 on the first and third Sundays of the month.